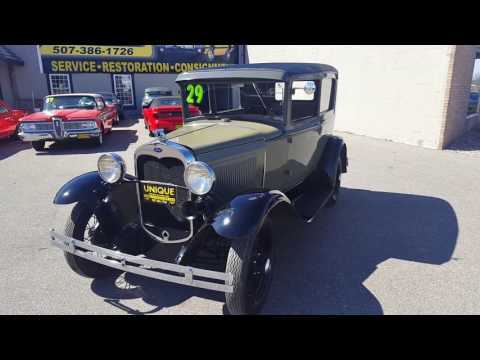 This 1930 Model A Tudor Sedan is a very nice running and driving little car with nice interior. The fenders, body, and frame are straight and line up very well. Naturally there are a few nicks/chips in the paint from being used buy as you can see still looks great! Turn the key pull the choke and the engine purrs. What a nice little car for you to take out on the weekends for cruises, parades, or to your local show. Call Jeff Kuchenbecker or Jay Andersen with Offers, Trades, and Questions @ 507-386-1726.